Koley Jessen Shareholder, Anshu Pasricha, has been named a 2016 Midlands Business Journal 40 Under 40 award winner. Pasricha was recognized at the Midlands Business Journal’s 40 Under 40 Awards Breakfast for having shown drive, leadership and success in his career as well as within the Omaha community. Pasricha started as an attorney with Koley Jessen in December of 2013 and quickly became a Shareholder. As part of the Mergers & Acquisitions Practice Group, he counsels clients in domestic and international mergers and acquisitions, joint ventures and partnerships, divestitures, and in general corporate matters. Anshu has advised on more than 60 closed domestic and cross-border M&A transactions in a wide variety of industries. He also acts as outside general counsel to several clients, providing general oversight of legal affairs as well as strategic guidance to c-suite officers, boards and founders. Outside of work, Anshu is involved with the United Way of the Midlands as a volunteer on the community investment and review team. He actively participates in the American Bar Association’s Mergers & Acquisitions Committee by volunteering on the Private Target Merger Agreement Task Force and on the Deal Points Study on Carveout Transactions. Anshu is a Leadership Iowa participant in the Class of 2016-17. Additionally, he spends time writing and publishing for both national and international trade magazines. “Anshu provides over-the-top service to clients and contributes to the growth and success of our Firm in many ways. 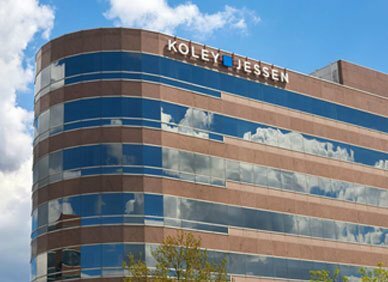 We greatly appreciate all he does for us and the community,” says Mike Hupp, President of Koley Jessen.